It contains turmeric, sandal, carrot seed, almond, orange peel, chiranji or chirauli (Buchanania lanzan Spreng), apricot, aloe vera, calamine etc. Regular use of this aroma faimess pack protect skin against tanning and also pigmentation, freckles and pre-mature wrinkles. Skin becomes soft, firm and lively. It is suitable for all types of skin. 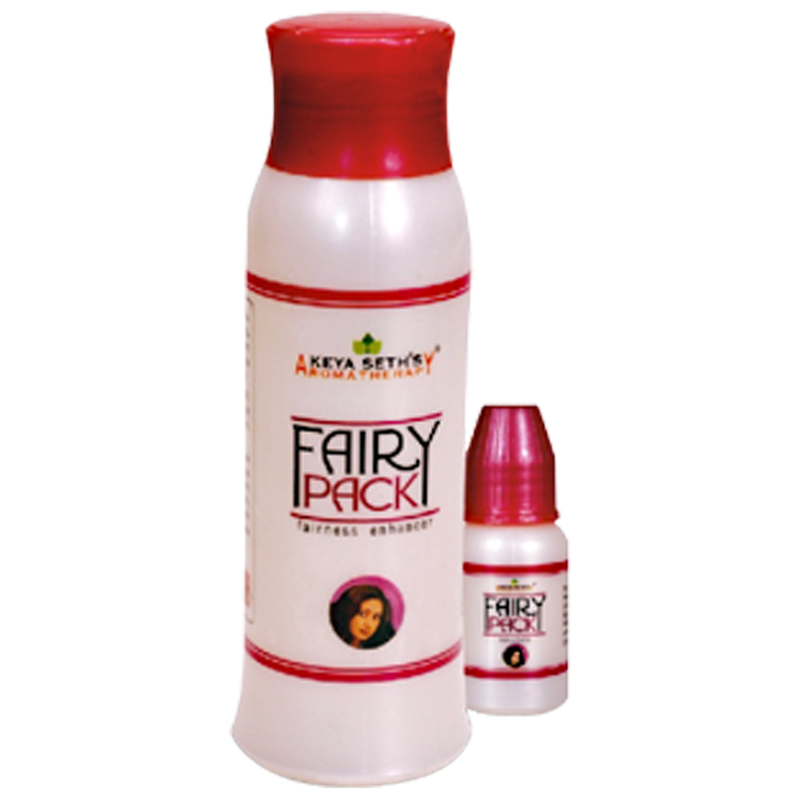 this pack thrice a week.Take measures quantity of ‘Fairy Pack’ powder, dissolve the powder and solution provided (Add 1 teaspoonful of powder to 5 drops of solution and maintain this ratio) in water. Apply this pack on your face. Wash face with clean water after it dries up. Now, according to your skin type, use Neem, rose, orange or lavender water for toning. For even better results use ‘Touch-N-Glow’ and ‘Fair & Bright’.